Stella: Hi Tonya, welcome to Ex Libris! Can you please tell us a bit about yourself? Tonya: Sure thing! First, let me say thanks for having me! A little about myself, huh? Well, there’s not much to tell. I don’t lead a very exciting life, which is probably why I spend most of my time with imaginary people. Plus I’m a grad student, so the time I’m not working on my next book is spent on schoolwork. Someday I might have time for a real life. Maybe. But until then, I’ll live vicariously through my characters! Stella: Your debut novel, the first in the steamy and thrilling HORNET series, SEAL of Honor just got released in June, congratulations! 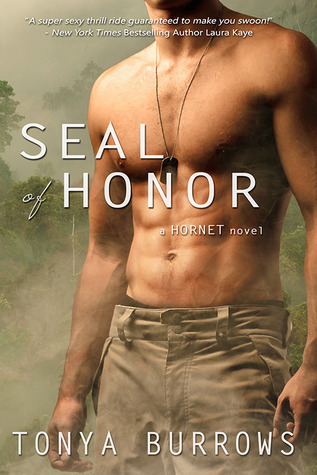 I LOVED it, but can you tell our readers what they can expect of the HORNET series, and more specifically of SEAL of Honor? Tonya: Thank you! I’m so glad to hear you loved it! SEAL of Honor is about a ragtag team of mercenaries who set off in a trial-by-fire mission to rescues an American businessman from paramilitary rebels. Along the way, this group of alpha males have to learn to put aside their egos and work together. Plus Gabe, the hero, meets his match in Audrey, the businessman’s flighty sister. 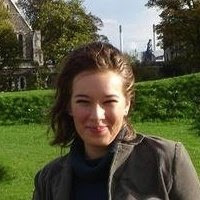 Stella: Could you introduce the main characters of SEAL of Honor to the readers? Tonya: The best way to introduce the guys, I think, is through an excerpt. Otherwise, I could go on for pages about them! In this excerpt, Audrey meets the entire team for the first time. Gabriel. It suited him. He even looked a little like the painting her uber-religious mother had of the avenging angel. Gabe went on to introduce each of the other men in the room. Jean-Luc Cavalier was the fake policeman she’d already had the pleasure of meeting, but he swept into a bow as if this was their first introduction, murmured something delightful sounding in French, and kissed her hand. Her opinion of him did a complete one-eighty. In fact, she melted into a big, gushy puddle of girly giggles and didn’t even hate herself for it. Jesse Warrick, the medic, touched the brim of his Stetson with a polite, “ma’am”—somehow when he said it in that cowboy drawl, it didn’t sound as condescending as it had when Gabe said it earlier. Gabe made some displeased grumbling noises until Marcus returned with a mug, then continued with the introductions. Eric Physick, whom everyone called Harvard, was the computer geek tapping away at his laptop keyboard. He looked up and offered a distracted smile when Gabe said his name. His glasses sat crooked on his nose. Audrey had to fight the urge to straighten them and comb down his spiky mop of brown hair. Ian Reinhardt leaned against the wall in a motorcycle jacket with bad attitude rolling off him in waves. He said nothing to her, but his lip curled in a faint sneer of disdain. O-kay. Mental note: she never wanted to be in a room alone with him. Finally, camo pants, Travis Quinn, gave her a solemn nod, but kept his distance. Such an odd assortment of men. She wasn’t sure whether to cheer, laugh, or cry that they were apparently her brother’s only hope since the FBI was doing jack to save him. Stella: If SEAL of Honor or the HORNET series was made into a movie or TV series, who could you picture playing your characters? Tonya: Gabe: I’d cast Paul Logan. I have never seen anything this actor has been in and have no idea of his acting ability, but he looks *exactly* like my mental image of Gabe so he’s got the job! Audrey: definitely Amanda Righetti. I love her in The Mentalist, but I never imagined her as Audrey until I found a picture of her with light brown wavy hair and a big grin. Then it was like bam! I knew she was Audrey. Travis Quinn: I’d choose Eric Dane from his Dr McSteamy days on Grey’s Anatomy. Jesse Warrick: Keith Urban. It was kind of hard to find someone that matched my yummy mental picture of the stubborn cowboy, but after I saw a picture of Keith Urban with his pretty blue eyes and shaggy light brown hair, he *became* my mental image of Jesse. Ian Reinhardt: Hmm. I think out of them all, Ian’s the hardest to cast. I have a very specific picture of him in my head that I got from a stock photo, but I guess if I had to cast someone it would be Colin Farrell. Nobody plays a bad boy better. Harvard: Topher Grace because he’s just the right mix of hot and nerdy! Jean-Luc Cavalier: Alexander Skarsgard because he’s the closest match to the stock photo I used for the inspiration for Jean-Luc. Marcus Deangelo: Joe Manganiello because… well, have you SEEN Joe Manganiello without a shirt? Yup. That’s why. Tonya: I love Jean-Luc. He cracks me up and I really enjoy writing him. I have a feeling his book is going to be so much fun to write! Stella: Can you share with us some little secret trivia connected to the writing of SEAL of Honor (a scene/character that did not end up in the final version, a real person/movie inspiring a character, scene, etc.)? Tonya: There were originally 10 guys on the team, but 3 were cut out in the final version of the book to reduce character confusion. Those three guys were the traumatized former Marine sniper Seth Harlan, the cocky former Air Force pilot Vince Reyes, and Reed Taggert, whose role in the book was kind of ambiguous. But don’t worry, you’ll be seeing all three of them eventually—Seth sooner than the others since he makes a cameo appearance in WILDE NIGHTS IN PARADISE. Stella: How many books are you planning to have in the series, or it depends on the number of wilful characters who’ll clamour to have their own story told? :-) And when can we expect to read them? Tonya: I plan for each of the guys on the team to get his own book, including the three that were cut out. In all, that’s ten books. The second HORNET book will be out next spring (2014) sometime. Stella: The HORNET series features different military heroes, what kind of research did you do to get things right and accurate? Any funny/weird/interesting research story you could share? Tonya: Whew, boy. I did a whole lot of research. Up until I wrote SEAL OF HONOR, I wrote mostly paranormals and mysteries. The military was so far outside my scope of understanding that, honestly, I was a bit daunted by the prospect of researching it. I started by watching a lot of the Military Channel and I filled my Kindle with memoirs written by former SEALs, but once I really dug into the research I discovered I very much enjoy it. I might have even gotten a bit carried away with it. I researched for at least a solid month before I started writing! Stella: Besides SEAL of Honor you have another brand new steamy Brazen release with Entangled Publishing, Wild Nights in a Paradise, would you like to tell us a bit more about it? Tonya: Sure! It’s the first book in my Wilde Security series about five brothers who own a private security company. Each brother will eventually have his own book, but this one focuses on the youngest, Jude Wilde, who everyone considers a screw-up. Eight years ago he broke his fiancé’s heart and now he’s tasked with protecting her from a stalker. It’s a fun story, but it also deals with some deep topics like loss and forgiveness. Although WILDE NIGHTS IN PARADISE is more contemporary romance than romantic suspense, you will see some HORNET characters making cameo appearances throughout the series. Stella: What is next on your schedule? Any future plans you’d like to share with us? What shall we be on the lookout for? Tonya: My schedule is packed! I’m currently working on Wilde Security #2, which will be out this fall sometime, and I’m researching HORNET #2, which is slated for release next spring. Wilde Security #3 will also likely come out sometime next spring. Tonya: Oh boy. I’m not good with these types of questions. Let me think for a minute…. Okay, how about this? I HATE chick flicks. Give me a blow-em-up action or psychological thriller or gory horror movie. I guess I get enough romance from books that I don’t want to see it when I go to the theater. Writing has always been my one true love. I wrote my first novel-length story in 8th grade and haven't stopped since. I received a B.A. in creative writing from SUNY Oswego and I'm now working on a MFA in popular fiction at Seton Hill University. I share my life with two dogs and a ginormous cat. We live in a small town in PA, but I suffer from a bad case of wanderlust and usually end up moving someplace new every few years. Luckily, my animals are all excellent travel buddies. You can find me online at my website, Facebook and Twitter. One lucky winner will receive a signed copy of SEAL OF HONOR, swag, and will even have a character in one of Tonya’s future releases named after them! To be entered just fill out the Rafflecopter form below and tell us: Who would you cast as your own SEAL in a movie version of the novel? Giveaway is open worldwide and ends on 30 June 2013!